Micro-invest your daily spare change. Saveboost helps people to automate their finances and start saving and micro-investing automatically. 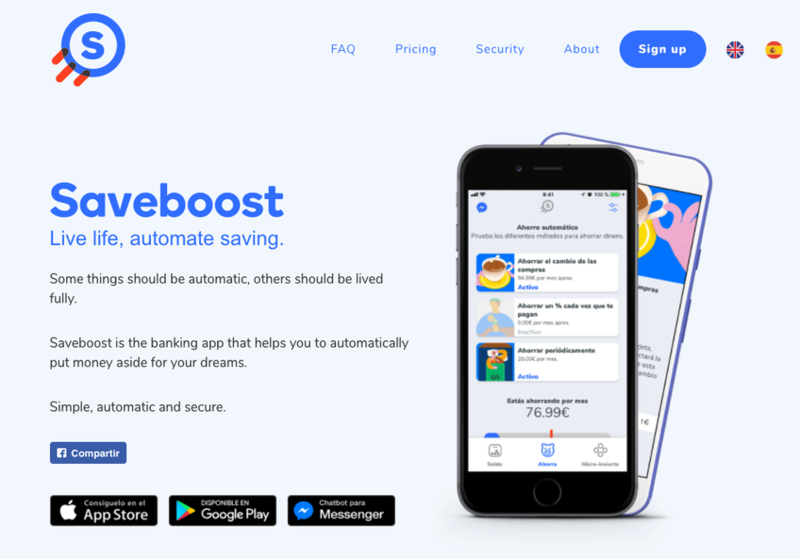 Saveboost is an intelligent assistant for Facebook Messenger that connects to your bank account and calculate the spare change of each transaction. Making it easy to be saving some cents every day.